For 17 long, long years, Hugh Jackman brought Wolverine to life with such a raw intensity that it’s difficult to imagine anyone else donning those iconic adamantium claws anytime soon. That saga, one with many ups and downs, reached its conclusion two months ago with the release of Logan, James Mangold’s poignant, R-rated finale that struck a chord with critics and X-Men fans the world over. However, with the actor now done with the role for good – or so he says – the question on everyone’s mind is what’s going to happen to good ol’ Wolvie? A character as iconic as Wolverine won’t be left on the shelf forever, as there’s simply far too much money to be made off him, but deciding where to take the mutant next is certainly tricky. Recasting the role is one option, and will probably happen eventually, but according to producer Hutch Parker, that’s not even something they’re thinking about right now. Instead, the focus is being placed elsewhere in the X-Men Universe. “I think for the moment our focus really is on other characters. 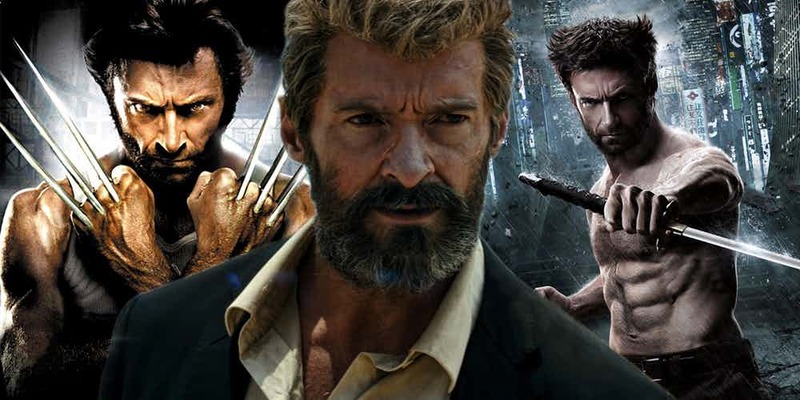 I think there’s a part for all of us that feels like Logan, as played by Hugh, is the definitive performance of that character. And I think we’re all a little hesitant at the idea of rebooting it in any way. So, for the moment we’re going to look at – there’s so much else explore in the [X-Men] Universe and to play with. Parker makes some good points here, and it’s easy to see why everyone involved would be hesitant to dive back into the character of Wolverine again, especially at this point, when Jackman’s iconic performance is still so fresh in our minds. Make no mistake about it, the clawed mutant will certainly be seen in live-action again, it just won’t be anytime soon, and we’re absolutely fine with that. With the way the X-Men Universe is starting to grow and expand, there are tons of avenues for the producers to explore that don’t involve Wolvie, and really, we’ve only seen the tip of the iceberg. With projects like New Mutants and X-Force now starting to fire up, and Deadpool getting a sequel, too, the X-Men franchise is about to explode in a big, big way. With that in mind, it’s probably for the best that the focus be taken off Wolverine – for the time being, at least – in order to let some of the other characters grow and develop. But I digress. Circling back to Parker’s comments, it’s clear that fans have nothing to worry about. Hugh Jackman’s performance will be the only one in the public eye for a long time and in case you’re itching to re-visit it, be sure to pick up Logan when it claws its way onto Blu-ray and DVD on May 23rd. If you’re strapped for cash or somehow aren’t able to grab a copy at launch, don’t worry; there’s still time to enter We Got This Covered’s giveaway – check it out below!